The smiles on the children’s faces and laughter coming from Wilbur Square Park Saturday morning were a sure sign that the 60th annual Easter Egg Hunt was a success. Cheryl Bruce of Beta Sigma Phi Sorority, which was presenting the egg hunt for the last time, agreed. “Everyone in the community came together to support and participate in the event,” she said. The number of participants more than doubled from last year, said The Rev. Sandy Johnson of Boulder City United Methodist Church, which is taking over the event. Bruce said she estimates around 300 children participated in the 2013 egg hunt, and about 700 were there Saturday. “The hunt was magnificent,” Johnson said. 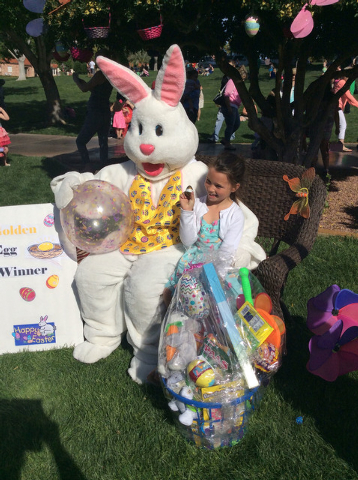 Special golden eggs were hidden in the grass, with giant baskets presented to Jayden Hunt, 3, of Henderson and Dezirae Newburn, 7, of Boulder City. They found the golden eggs in the egg hunts for preschoolers and younger and kindergartners through second-graders, respectively. 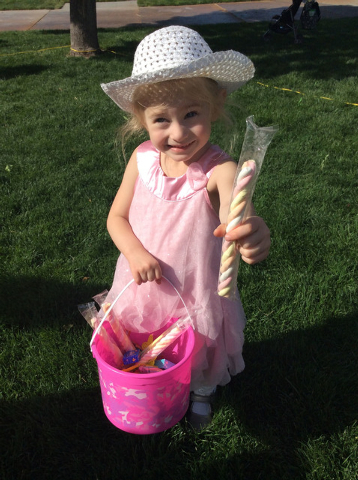 Besides the egg hunt, the festivities included photo opportunities with the Easter Bunny, a contest to guess how many jelly beans were in a jar and a prize drawing for adults. Members of the church attended the event to help and learn from the sorority members. “The sorority is very thankful that the United Methodist fellowship is going to pick up where we left off,” Bruce said. 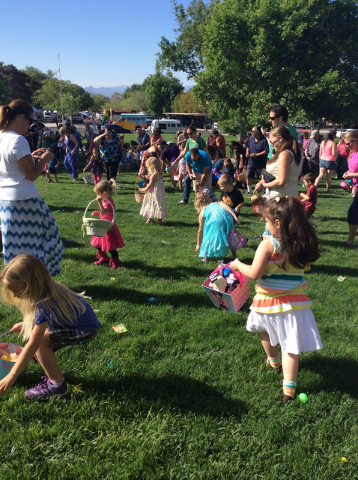 Johnson added, “We took notes and photos and are thankful that they are gifting us with all of their equipment and expertise so that next year the 61st annual community Easter Egg Hunt will continue as a favorite Boulder City tradition. Members of the Lambda chapter of Beta Sigma Phi started the egg hunt. That chapter, however, disbanded. 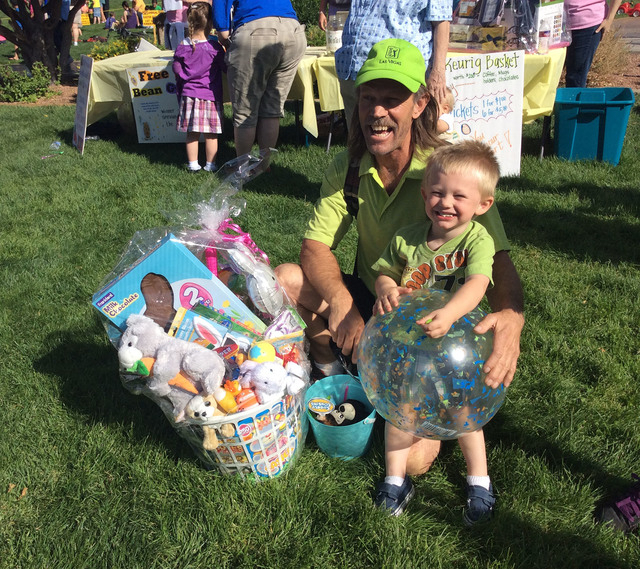 And members of other Boulder City chapters organized this year’s event and found a successor so the egg hunt could continue. Each of the other chapters has its own schedule of activities and events. After all the candy and toys were gathered by the children and the special baskets were presented to the grand prize winners from each age group, the day concluded with the golden eggs being handed over to Johnson and the church. “The UMC is honored to take over this special tradition and we intend to keep the event as it has been for years — a great outing for families and fun for everyone!” she said.